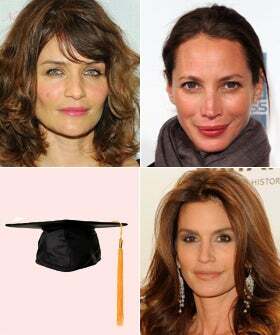 Take A Guess: Which Supermodel Was A Valedictorian In High School? File this under Things That We Should Know, But Don't. We always adore Stylelist's insightful fashion quizzes, and this one totally had us stumped. Which doesn't happen that often. We do work at a fashion publication, after all, and for the most part, we consider ourselves RSS jockeys, surfing the net and digesting an endless amount fashion facts (trust us, if they made a Trivial Pursuit, Fashion Edition, you want us on your team). So when Stylelist got us raising our eyebrows by asking which beauty was also a brain, we did a double-take. Zero clue.